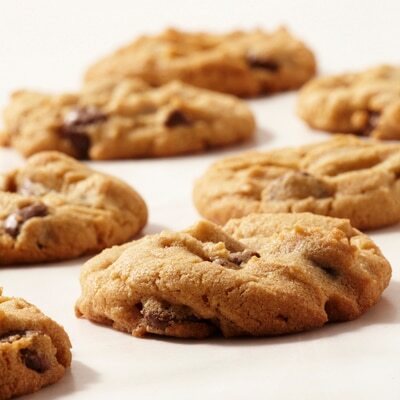 Peanut Butter Chocolate Chip Cookies are an easy-to-make treat and something the whole crowd will enjoy. COMBINE flour, baking soda and salt in medium bowl; stir. COMBINE butter, brown sugar and granulated sugar in large mixer bowl until combined. Stir in peanut butter. Stir in egg and vanilla extract. Gradually stir in flour mixture. Stir in morsels and peanuts. Using a level tablespoon, roll the dough into balls; place on ungreased baking sheets spacing about 2 inches apart. Flatten slightly with a fork. BAKE for 8 to 10 minutes or until edges are set but centers are still soft (they will look underdone). Cool on baking sheets for 4 minutes; remove to wire racks to cool completely.